Gaining Customer Loyalty – What is Loyalty? 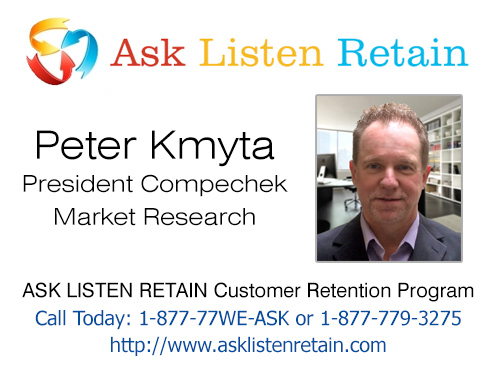 Home / Ask Listen Retain / Gaining Customer Loyalty – What is Loyalty? The emergence of group buying sites and the emphasis on a cheap deal is making it increasingly difficult for businesses to engender loyalty. But there are tools to help you keep customers coming back. Loyalty can mean something different to each business, so the first step is to understand what it means to you and how it applies to your business. Is it merely customer satisfaction? Is it improving customer retention? Loyalty could be defined as your customers spending more money with your business, or it could mean wanting them to spend more frequently. It could also mean you want your customers to refer others to your business. Retail expert Brian Walker of The Retail Doctor says trust plays a big part in whether a consumer will be loyal to a business. “To trust a business, a consumer needs to know that it will do what it says it’s going to do and that there is consistency in the offering,” Walker says. And businesses that take the trouble to get to know their customer and undertake micro-marketing have far more success, he says. Businesses looking for ways to win the loyalty of consumers should firstly ascertain what aspects of their business works well, and what doesn’t. Bateman admits loyalty can be a difficult thing to measure. “You need to think about your product and try and understand how it offers a solution to your consumers. If it’s a service for example, what are people trying to get out of your offering?” Bateman says. Randomly selecting customers and questioning them on their thoughts of your business could be a good start. He also suggests organising a mystery shopper or an exit survey. “True customer research just isn’t in the budget for many businesses, but it should be,” he says. Next, conduct some of your own research by looking at how businesses within your sector approach the issue of loyalty, says Walker. Larger businesses should consider investing in a dedicated loyalty manager to look at this side of the business, he says. Remember, we ASK the important questions, you LISTEN to the results and you RETAIN loyal customers for a lifetime!